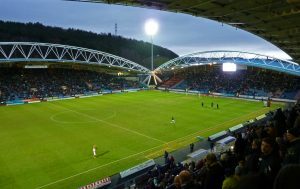 New Huddersfield Town boss Jan Siewart believes that the club can stay in the Premier League despite looking destined for the drop. The Terriers currently sit bottom of the league standings on only 11 points from 25 matches. They are also 13 points from safety, making the task for survival even more unlikely. The Yorkshire outfit managed to stay up last season against all of the odds in their debut Premier League campaign and Siewart believes that they can repeat that feat. When asked if Huddersfield’s demotion to the Championship is inevitable, the German said: “I don’t agree at all. As long as it’s mathematically possible, so there’s everything possible in football. Huddersfield are next back in action on Saturday as they take on Unai Emery’s Arsenal. They come into that game off the back of a 5-0 humbling to Chelsea last weekend. The Terriers are at odds of 5/1 with BetVictor for what we would represent a huge victory against the Gunners, whilst they are at 75/1 with fellow bookmakers Paddy Power to stay up in the Premier League at the end of the season.